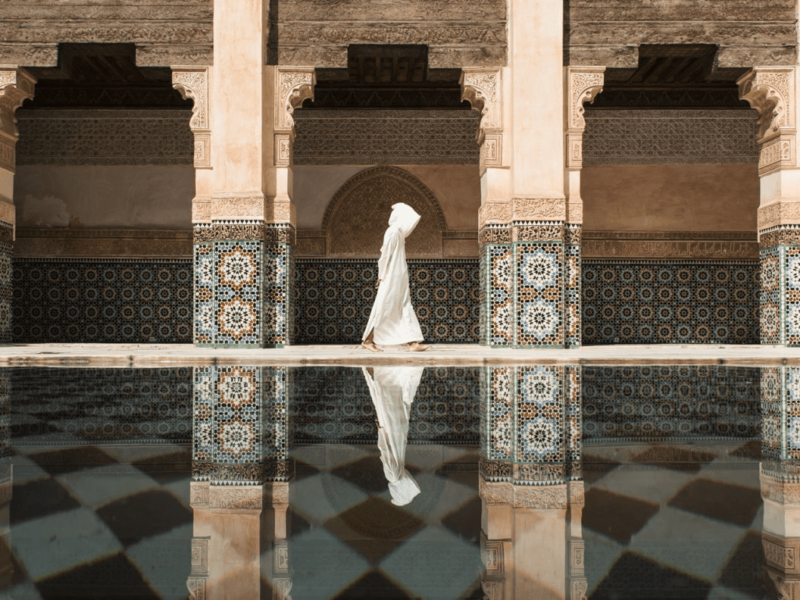 My vacation with Escape To Shape to Morocco was one of my favorite vacations yet! The Escape To Shape team was a ton of fun, very attentive and knowledgeable, making me feel safe and comfortable in an exotic place. Having traveled much of Europe and other parts of the world, this was a preferable way to experience a country and culture fully. The itinerary was full of experiential cultural activities. The yoga and exercise programs were well woven into the experience as a whole. The accommodations were great and had obviously been given much care and thought. The food was wonderful and true to the culture. There was much laughing and moments of peace and relaxation. All in all, if you are thinking of planning a great vacation with great people and experiences, Escape To Shape is the way to go. I will definitely be joining them on more trips! Fitness Training. Yoga. Meditation. Power Walks. Hiking. Hammam. Delicious local & seasonal cuisine, such as seven vegetable couscous, flavorful tagines & creative soups & vegetables, plus plenty of saffron & cinnamon, mint tea and pistachios. Plus, enjoy a hands-on cooking class so you can impress friends & family back home. Gluten free or vegan? We've got you covered! Our own private Kasbah. Need we say more? If villa living is your thing, this Escape is for you. 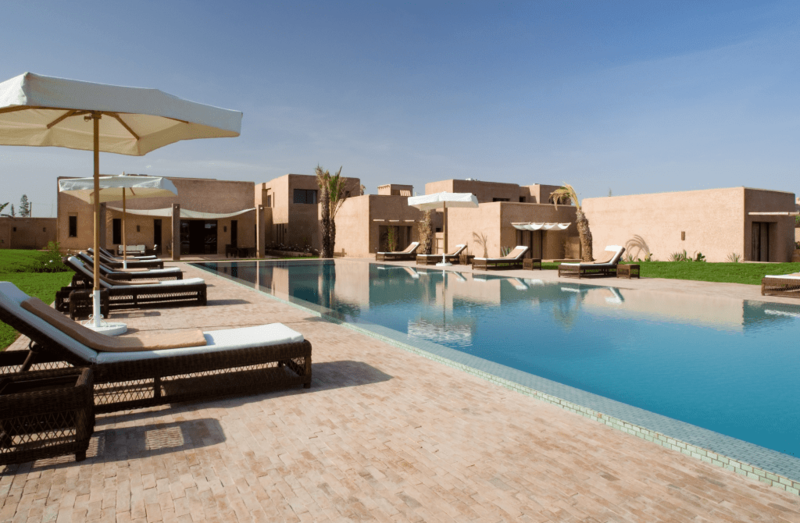 Complete with private staff, chef, guides & drivers, this Morocco-meets-Modern villa provides plenty of opportunities for lounging between activities. 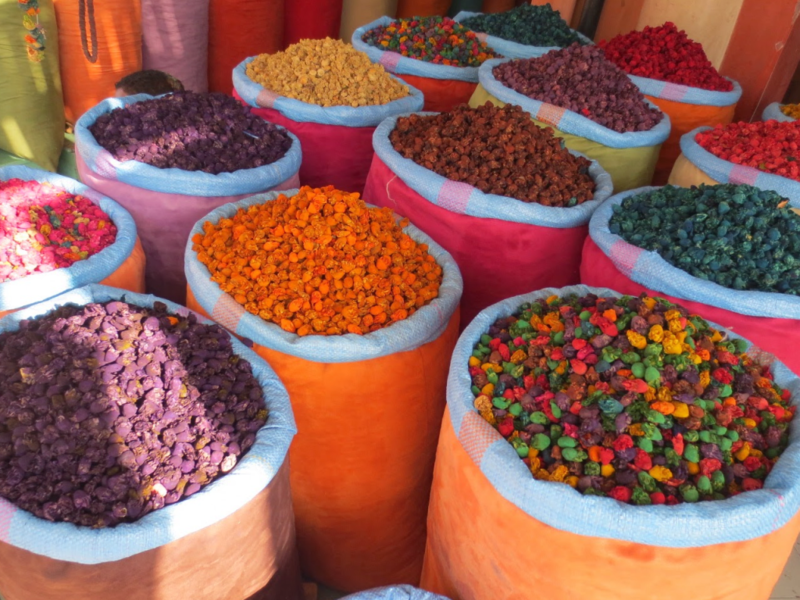 Join us at a local Berber school to donate supplies & small toys, spreading joy in simple ways, and giving a bit back to the local people of the area. Love to shop & be on the cutting edge of fashion? The markets will not disappoint! Nor will all the insider access to designers, artisans and boutiques. Tres chic! 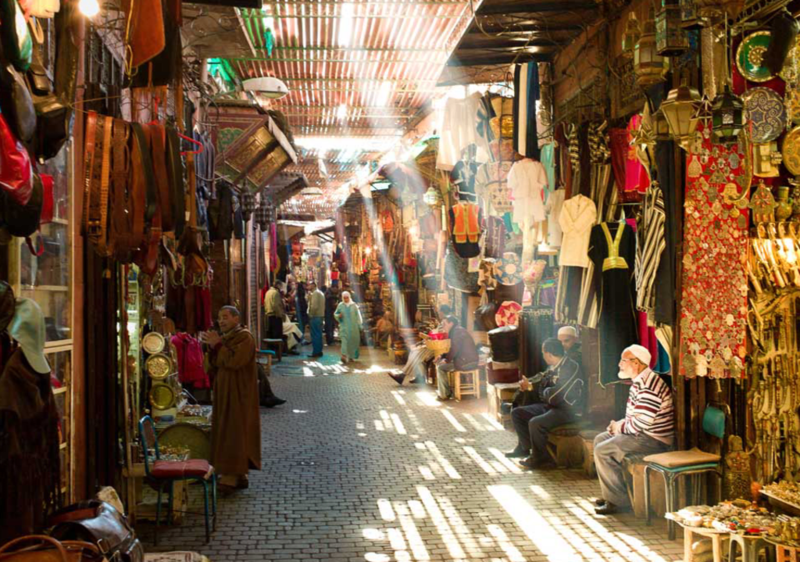 Join ESCAPE TO SHAPE on an exclusive journey to magical Marrakech, Morocco. 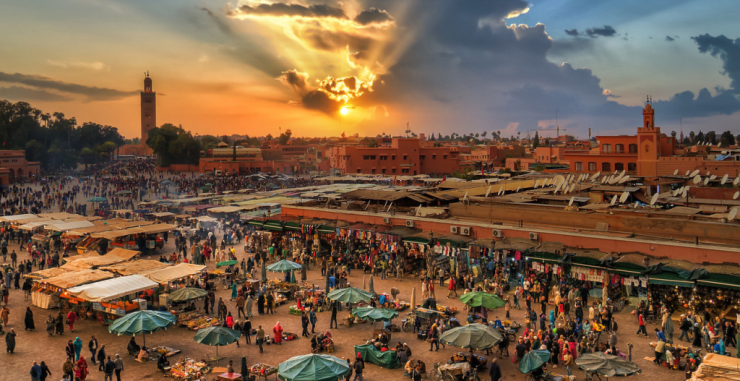 Experience the vast wonders of this exotic city- a combination of luxurious accommodations in a private desert Kasbah, results driven + fun & sweaty fitness classes, rich Arabic traditions, chaotic marketplaces, hidden treasures of the souks and breathtaking natural beauty- from the desert and the garden of YSL to the majestic Atlas Mountains. 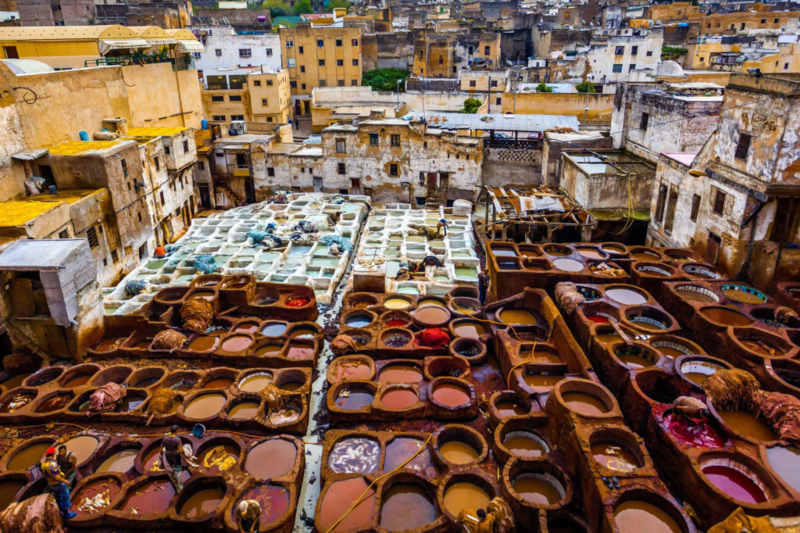 Along with the cultural and natural wonders, guests will enjoy an invigorating yet relaxing hammam, meandering through the marketplace, belly-dancing lessons, a camel trek through Berber villages and a cooking class on how to prepare traditional Moroccan cuisine, plus many other cultural surprises. 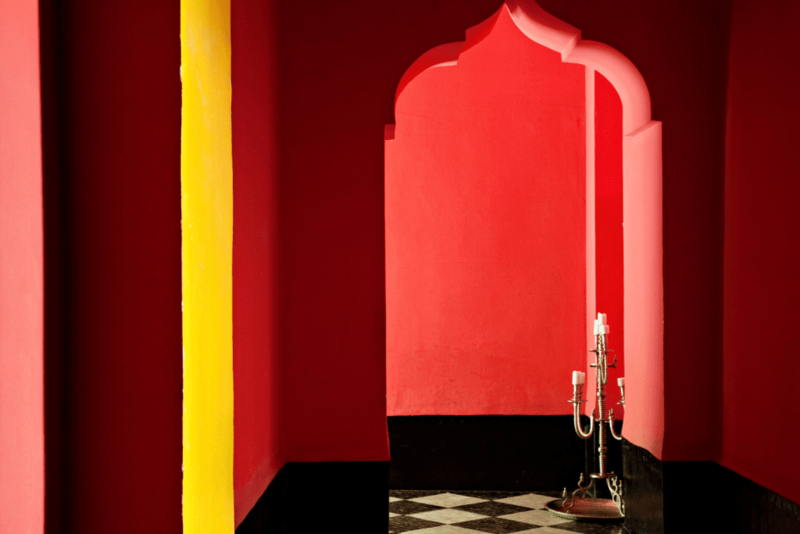 7 nights luxury accommodations in an exclusive Moroccan Desert Villa. Each luxurious room is spacious with an en suite bathroom, terrace, air conditioning and deluxe amenities. 3 delicious & healthy meals & snacks reflective of the region & the season provided daily. 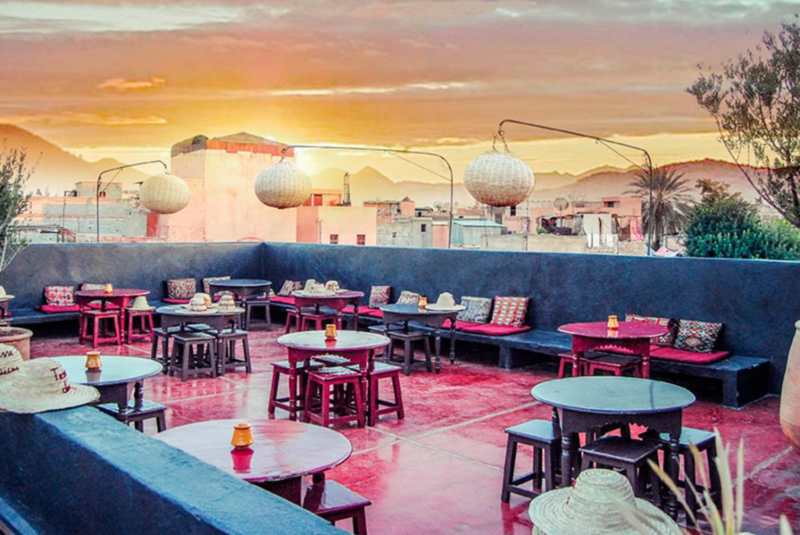 Meals will be enjoyed in the private villa and in some of Marrakech’s chic restaurants & cafes. Alcohol is available at an extra rate, based upon consumption. A camel trek through a berber village. Round trip ground transportation from the Marrakech Menara airport (RAK) to the Villa. 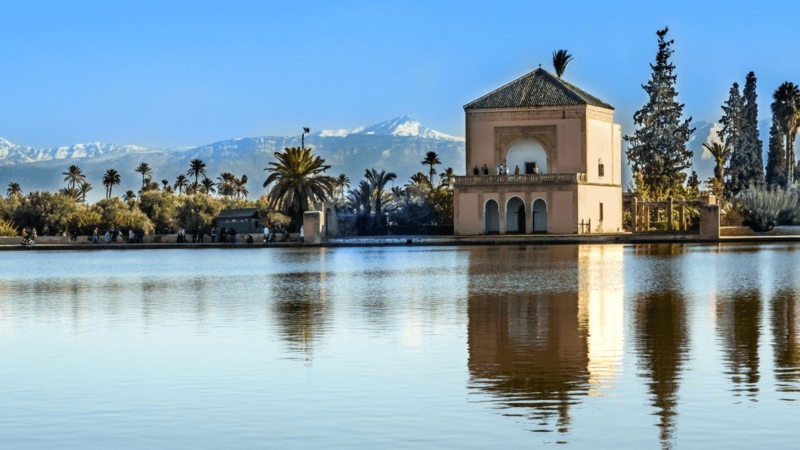 While in Marrakech guests will stay in an authentic Moroccan desert style home, perfectly situated between the majestic Atlas Mountains and the exotic Medina. The Kasbah-style villa is uniquely decorated with a crisp, modern twist, cleverly combining traditional Moroccan color, textures and fabrics with a modern play of light and comfort. Each suite is spacious and airy with a private en-suite bathroom, terrace, air conditioning and deluxe amenities, decorated in a traditional Moroccan meets modern style- from antique furniture carved out of solid walnut to leather club chairs and lavish carpets from the Middle Atlas region. 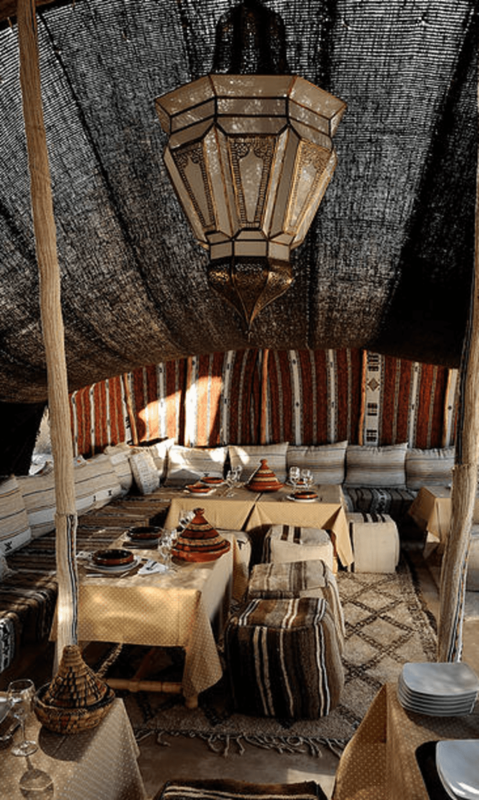 The luxurious property is complete with an expansive heated pool, jacuzzi, a traditional Berber tent ideal for afternoon tea or post dinner conversation, and an exquisite rose garden that splashes color throughout the property. Additionally, the property is host to a variety of unique indoor & outdoor spaces, ideal for inspiring each yoga & fitness class. 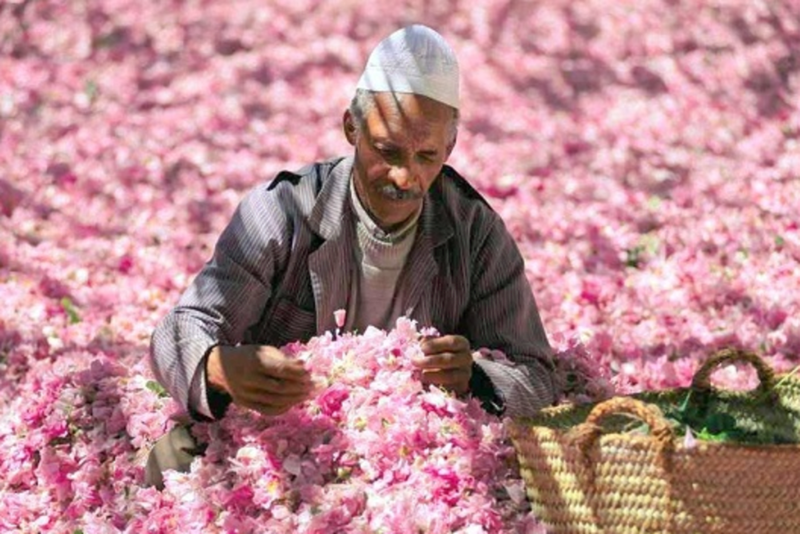 11:00 am - Depart for Medina- excursion includes a bit of shopping, lunch & private guided historical tour. 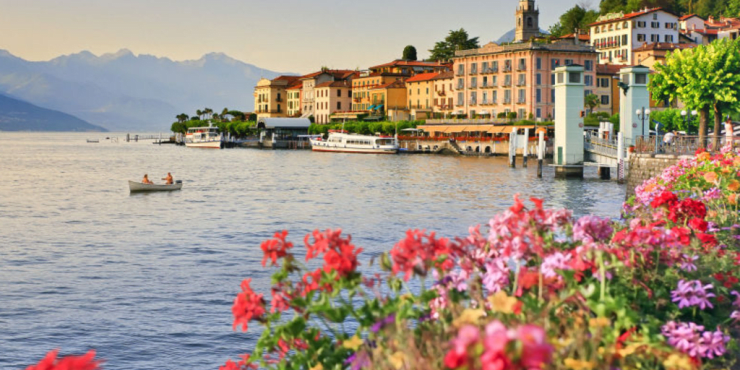 Discover the history, architecture & culture. Meghan Lee has been a NYC Fitness Professional since 2006. Known for her stimulating, energetic, client-focused workouts that implement her ‘smarter-before-harder’ training philosophy, she motivates and supports you wherever you are in your journey. Meg trains one-on-one and teaches an ever-expanding variety of classes from Bootcamp/Hiit, Circuit training to Barre Method/Fusion classes and a range of Yoga styles. From running programming and workshops, to developing and advising wellness and exercise prescriptions, throughout her career, she has had the privilege of working with all ages and body types, gaining indispensable hands on experience in, post injury rehab, chronic tightness and pain, a wide range of health and orthopedic challenges and limitations, including pre/postnatal. Her extensive group class experience has helped her cultivate a class setting designed to accommodate all levels — from the seasoned athlete to the novice beginner. No matter what unique obstacles you face, Meg will help you explore how to get the most out of your training and how to bring home a little bit of that “shape experience” to your everyday lifestyle. Recently, Meg has moved to Wilmington, NC. to return to school for Physical Therapy. She creates and manages programming for Fitness and Aquatics at Country Club of Landfall, contributes to Anahata Swimwear Blog (www.anahatswimwear.com) as a fitness expert and is thrilled to be a part of the wellness team at Escape To Shape!